Practice indoors all year round using the world's best launch monitor! The Golf Club of Dublin is the centerpiece of the Ballantrae neighborhood, a 640 acre residential community. Our Tudor-style clubhouse and course design set the tone for the Irish theme of this unique neighborhood. Stop by for a quick pint on the patio or hang around with friends and neighbors after a round. 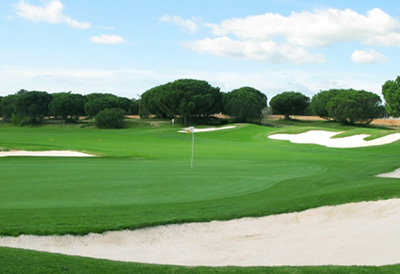 Hurdzan/Fry Environmental Golf Design has over 20 projects in process across North America, Europe and Asia. Dr. Michael Hurdzan and Dana Fry believe “the best golf is played in the most natural surroundings, and on golf courses that strive to be sustainable in the environment of which they are a part.